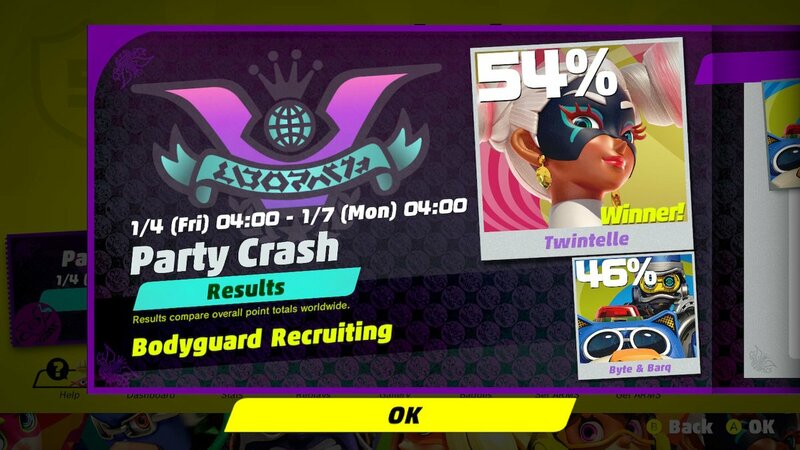 This past weekend, Nintendo hosted the third round of the ARMS Party Crash Bash. The event is intended to find out which character is the game’s best. Twintelle and Byte & Barq squared off this time around. Byte & Barq ended up securing the win with 54%. The next round of ARMS Party Crash Bash should be kicking off in the near future.